﻿ What is porchetta? Porchetta what is it. What is porchetta? So porchetta what is it? So porchetta what is it…. It is a typical dish of Central Italy. Regions like Tuscany, Lazio and Umbria have a tradition of its produce. Is that food or fat? No – the fat is lost during the process of cooking. The porchetta, is roasted pork, first deboned then spiced with a mixture of salt, pepper, fennel, garlic and rosemary, then cooked. The meat is rolled tight around the filling, tied with twine, and roasted. As it cooks, the skin forms a crispy crust that insulates the moisture of the meat while the spices and innards become a flavorful paste within. Where does the word porchetta come from? The word came from the little pig that was the body of the sacrifical offer to the Goddess “Cerere”. The original latin name was “porchetti” which means little pork. The ritual was done trough a female deity. In some cultures goddesses are associated with Earth. In this case “Maia” the earth, from here the name “Maiale” which it means “pork”. So meaning the question: what is porchetta? we should analyze etymology of the word, to do that we should start from here. The little “porchetti” was offered from the goddess to propitiate the eternal cycle of mother nature and for the growht of the plantations.In ancient Rome there was a big celebration called “Cerealia” .There the vestals were totally dressed in white. The term cerealia came from Ceres who was the goddess of agriculture, grain crops, fertility and motherly relationships. She was originally the central deity in Rome’s so-called plebeian or Aventine Triad, then was paired with her daughter Proserpina in what Romans described as “the Greek rites of Ceres”. Her seven-day April festival of Cerealia included the popular Ludi Ceriales which means Ceres’ games. She was also honoured in the May lustration of fields at the Ambarvalia festival, at harvest-time, and during Roman marriages and funeral rites. The festival may have been founded as early as the Regal period. Its archaic nature is indicated by a nighttime ritual described by Ovid. Blazing torches were tied to the tails of live foxes, who were released into the Circus Maximus. The origin and purpose of this ritual is unknown – some historycal study, may confirm that it may have been intended to cleanse the growing crops and protect them from disease and vermin, or to add warmth and vitality to their growth. The porchetta finally is a savoury, fatty, and moist boneless pork roast in Italian culinary tradition. In the “Lazio” region porchetta is roasted pork, deboned spiced with a mixture of salt, pepper, fennel, garlic and rosemary. The meat is rolled on a metallic support, and roasted. As it cooks, the skin forms a crispy crust that insulates the moisture of the meat while the spices and innards become a flavorful paste within. There was a ancient rite? Yes – the “Cerealia’s”. The term Cerealia came from Ceres who was a goddess of agriculture, grain crops, fertility and motherly relationships. She was originally the central deity in Rome’s so-called plebeian or Aventine Triad. She was paired with her daughter Proserpina in what Romans described as “the Greek rites of Ceres”. The seven-day April festival of Cerealia included the popular Ludi Ceriales which means Ceres’ games. She was also honoured in the May lustration of fields at the Ambarvalia festival, at harvest-time, and during Roman marriages and funeral rites. 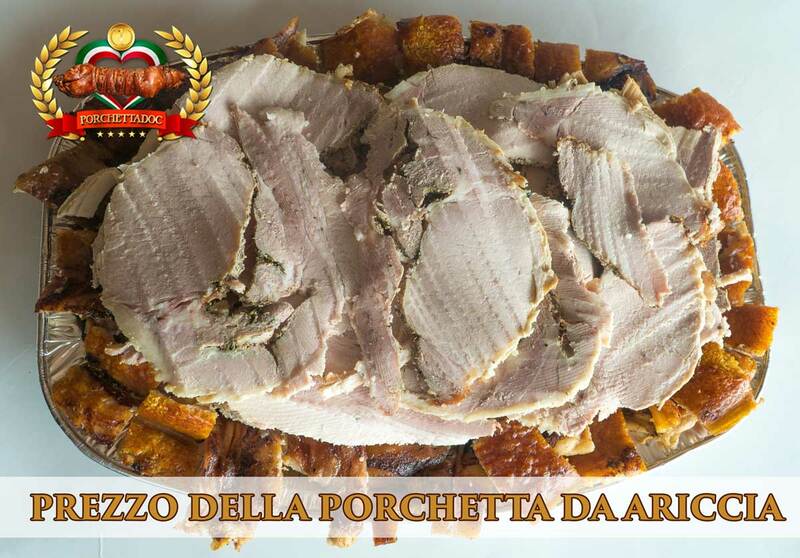 The goddess Cerere is behind the word “porchetta” the fatty roasted pork typical of the cental Itay. Here a etimology of the word, wired with the ancient Latins. What is porchetta? Porchetta what is it. 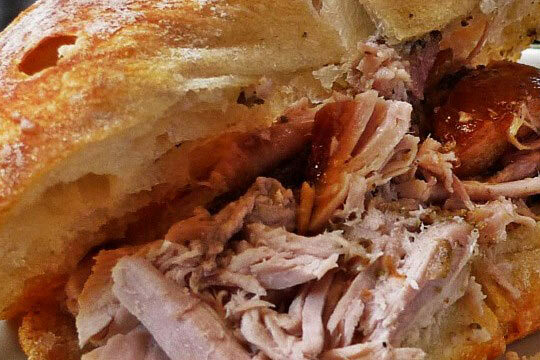 By Porchetta| 2018-08-15T13:56:36+00:00 aprile 1st, 2017|English|Commenti disabilitati su What is porchetta?